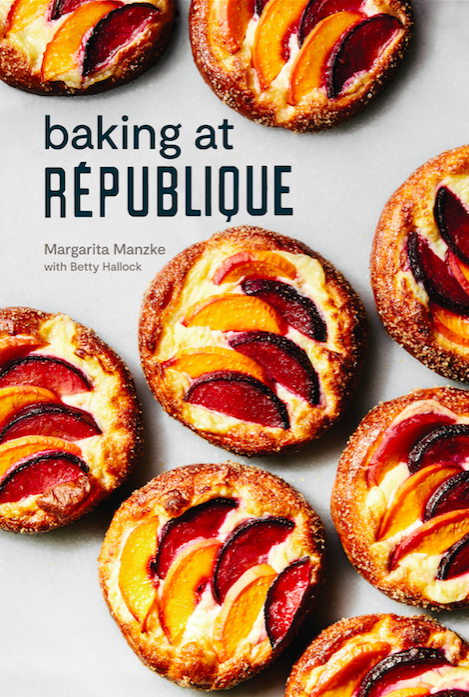 Introducing Baking at République from Chef Margarita Manzke! We are excited to announce that the book is now available in the restaurant, in stores, and online at Penguin Random House, Amazon, Barnes & Noble, and Indiebound. Chef Marge Manzke will be demonstrating a cookbook recipe, followed by a cookbook signing. The festival is free and open to the public, seating for the cookbook demonstration is on a first-come, first served basis. Join République’s email list to be the first to hear about upcoming cookbook events happening in the coming months at Now Serving and Heath Ceramics in Los Angeles.